(a) All cases of HIV or AIDS, which meet the Centers for Disease Control and Prevention (CDC) case definitions set forth in CDC Guidelines for National Human Immunodeficiency Virus Case Surveillance, Including Monitoring for Human Immunodeficiency Virus Infection and Acquired Immunodeficiency Syndrome, published in Morbidity and Mortality Weekly Report (MMWR) Vol. 48 [RR-13, December 10, 1999], incorporated by reference, available online at: www.cdc.gov/mmwr/PDF/RR/RR4813.pdf, shall be reported on the Adult HIV/AIDS Confidential Case Report, CDC 50.42A Rev. 03/2013, incorporated by reference, or the Pediatric HIV/AIDS Confidential Case Report, CDC 50.42B Rev. 03/2013, incorporated by reference, along with the Department of Health Addendum for Adult HIV/AIDS Confidential Case Report, DH Form 2134, (09/08), incorporated by reference. All forms are available at county health departments or at the Department of Health, Bureau of HIV/AIDS, 4052 Bald Cypress Way, Bin A-09, Tallahassee, Florida 32399-1715, (850)245-4334. 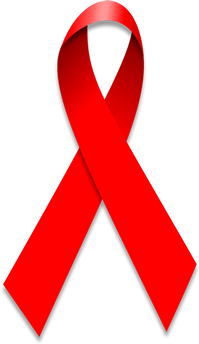 (b) HIV exposed newborns shall be reported on the Pediatric HIV/AIDS Confidential Case Report, CDC 50.42B Rev. 01/2003, incorporated by reference in paragraph 64D-3.030(5)(a), F.A.C. (6) Each practitioner who makes a diagnosis of or treats any notifiable disease or condition shall make their patient medical records for such diseases or conditions available for on-site inspection by the Department or its authorized representatives. Rulemaking Authority 381.0011(2), 381.003(2), 381.0031(7), (8), 383.06, 384.25(1), 384.33, 392.53(1), 392.66 FS. Law Implemented 381.0011(3), 381.003(1), 381.0031(2), (4), (8), 384.23, 384.25, 385.202, 392.53 FS. History–New 11-20-06, Amended 11-24-08.